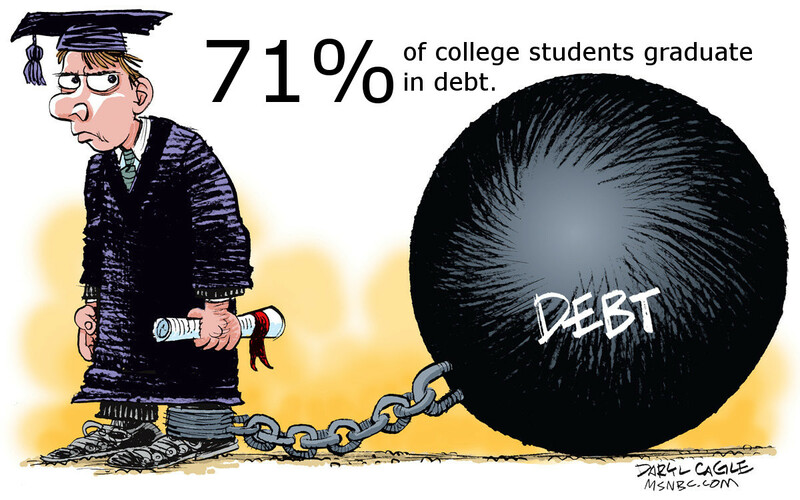 As of 2012, 71% of college graduates in America graduate in debt. This number is climbing higher with no real forecast of it slowing down any time soon. In fact, Americans owe more in student loan debt than they do on their credit card. Facts such as these has given the rise to Presidential Nominee Bernie Sanders who has argued for a less expensive education system. Regardless of the next step to take, it is clear that the United States Education System needs an overhaul.